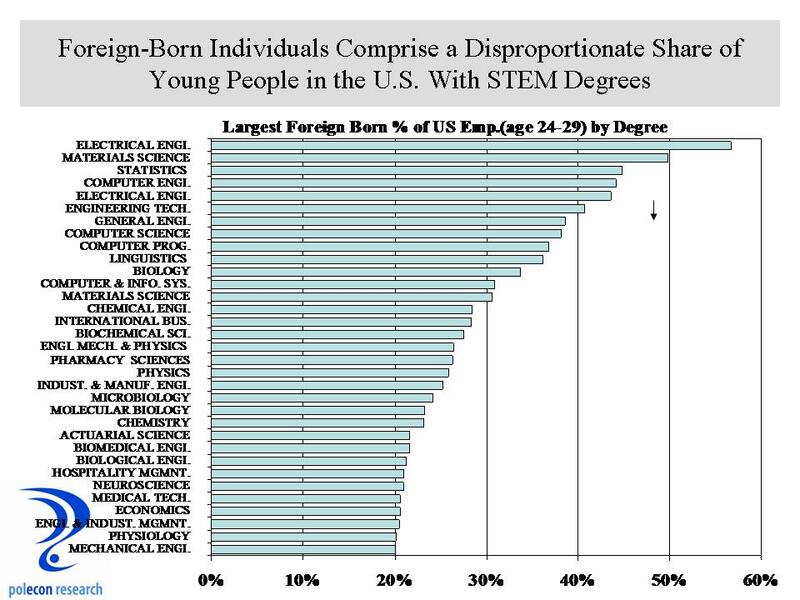 Nothing gets you thinking about gender equity issues more than being the father of three daughters, except maybe being the father of four or more daughters. 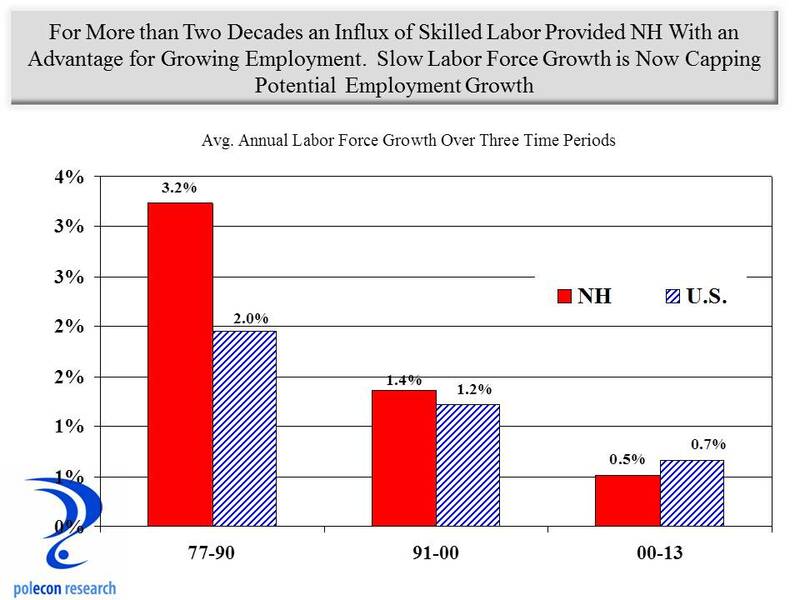 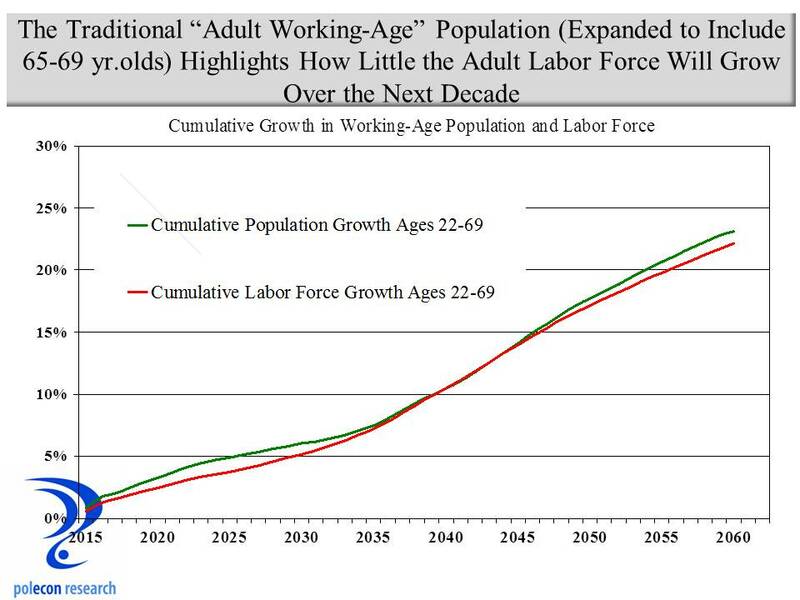 In my upcoming October edition of “Trends Lines” I am looking at trends in NH’s labor force. 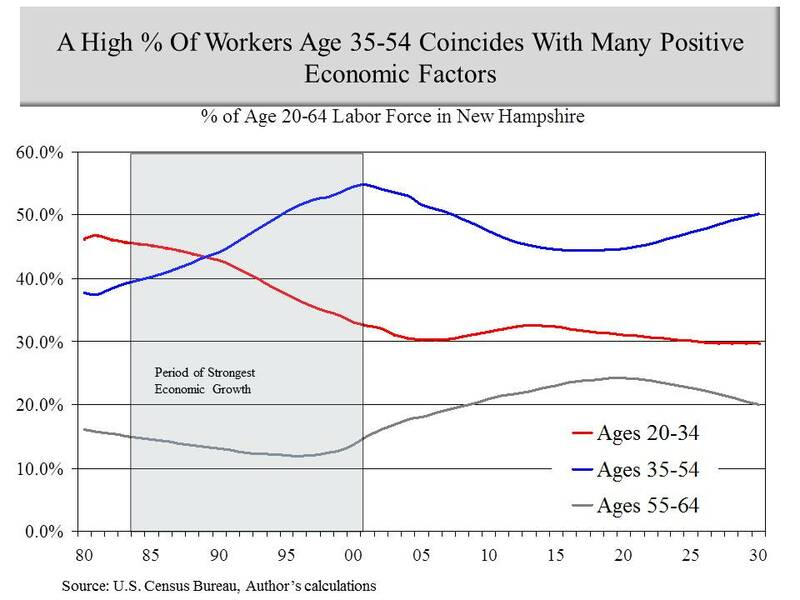 One of the more significant trends is the increasing percentage of women employed at businesses in NH. 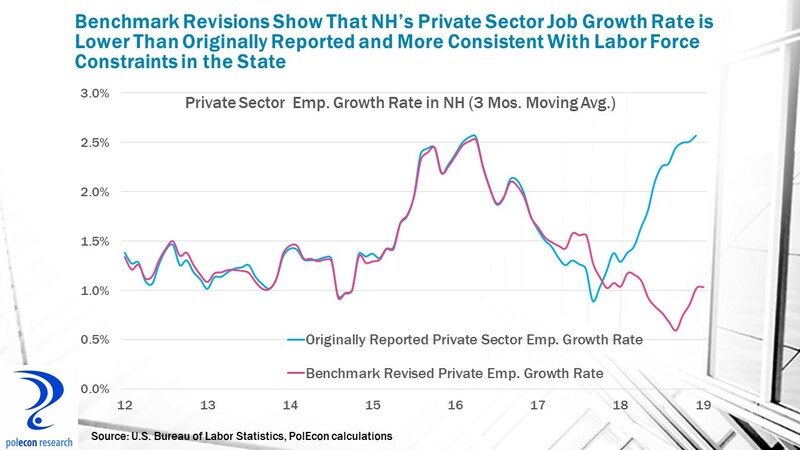 Despite the fact that men participate in NH’s (and the nation’s) labor force at higher rates (about 9% higher in NH) than do women, women now are a slight majority of employees at businesses in NH. 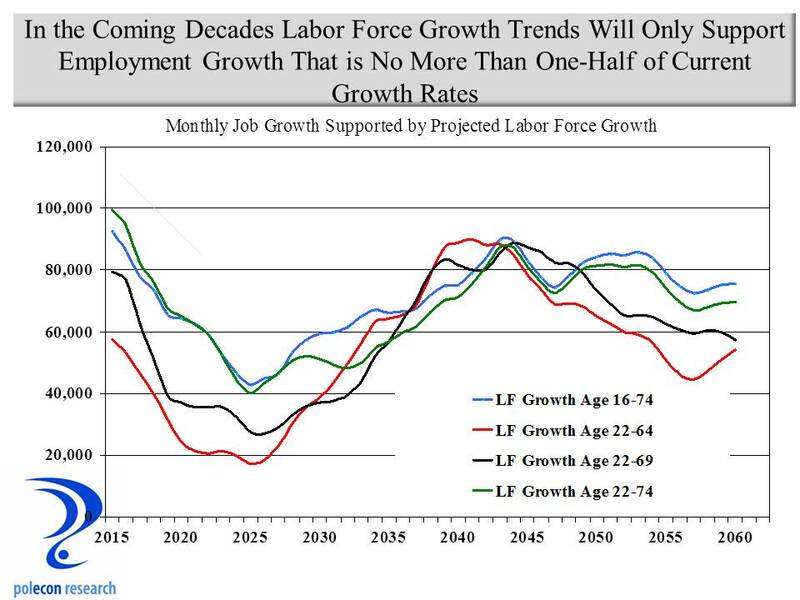 Women comprised 51% of employees covered by unemployment insurance during the third quarter of 2011 – the most recent data available. 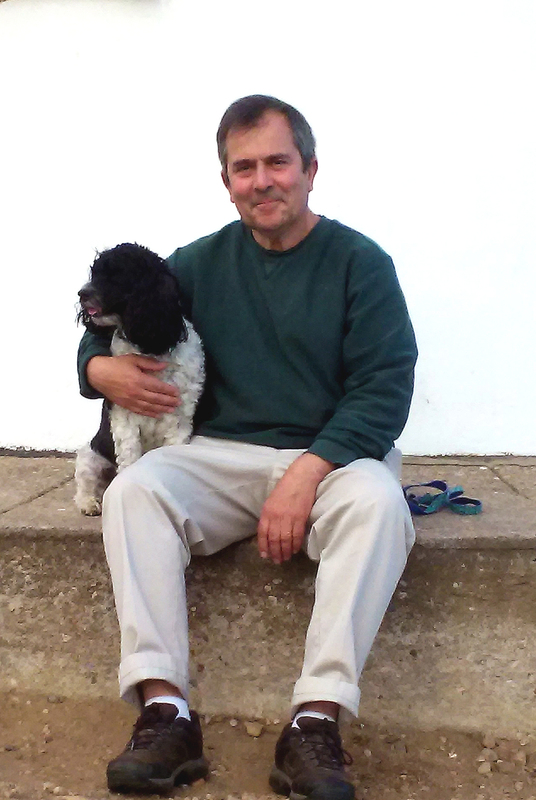 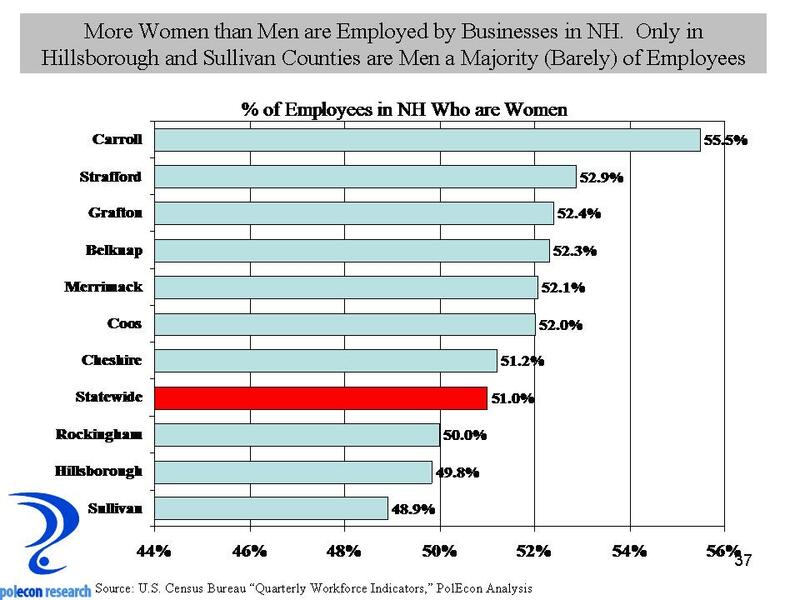 Only in Hillsborough and Sullivan Counties are men a majority (and by less than 1%) of employees at NH businesses. 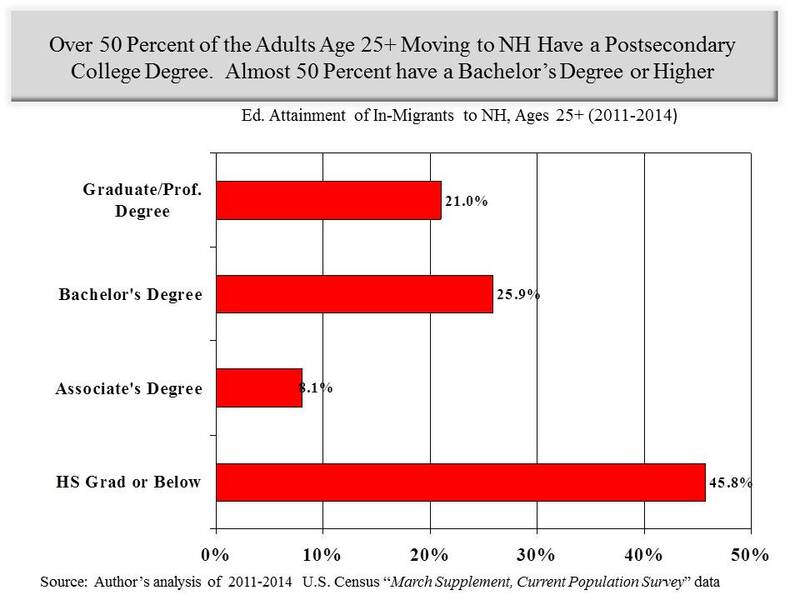 Among workers with the highest level of educational attainment, those with a bachelor’s degree or higher, women comprise 52% of those employed by NH businesses. 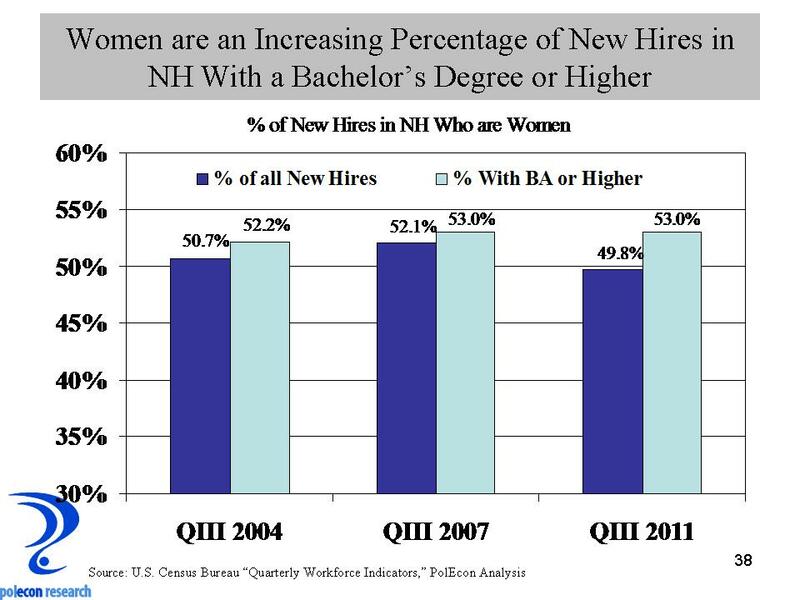 Moreover, the percentage of NH workers with the highest levels of educational attainment who are women is likely to increase because the percentage of new hires (not including recalls of layoffs), with at least a bachelors degree, who are women, is now even higher (53% – see chart below). 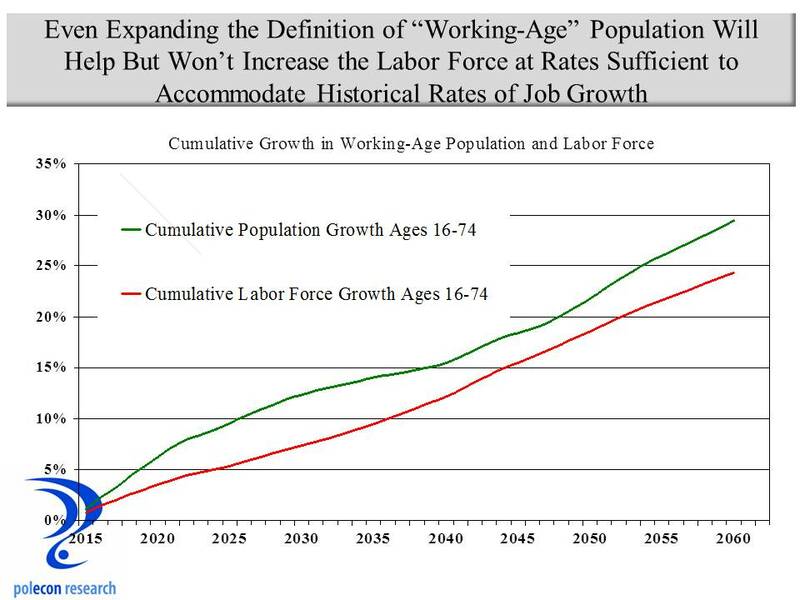 These differences don’t seem large, but over time they have tremendous implications for the economy and for society. 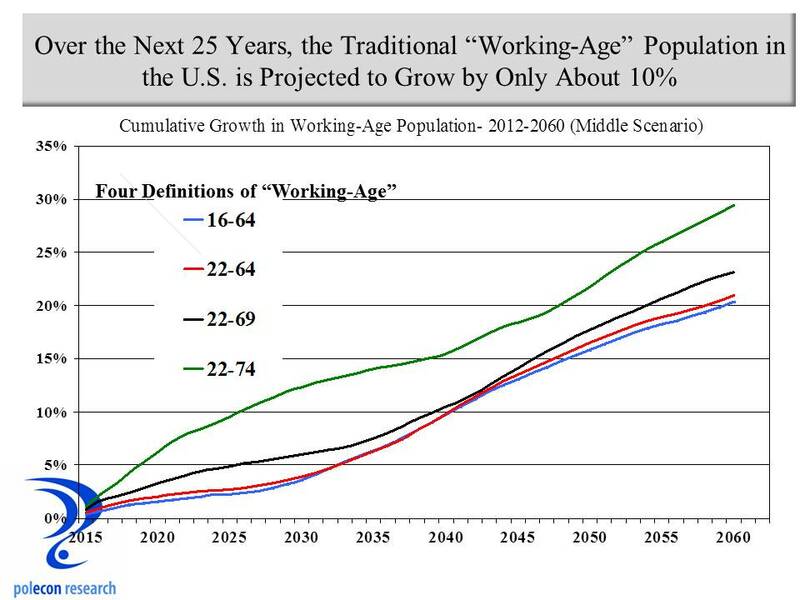 I don’t know if this data says more about the changing nature of the workplace or the changing nature of the male workforce, but as the father of three daughters, my anecdotal experience leads me to believe it is more about the latter.